The undisputed “King of Terriers,” the Airedale Terrier is the largest and hardiest of the terriers and an all-around useful dog. The breed’s coat is hard, dense and wiry, with a softer undercoat, and comes in both tan and black and tan and grizzle. This breed was one of the first used for police duty in Germany and Great Britain and has also been popular with Presidents, including Woodrow Wilson, Warren Harding, and Calvin Coolidge. The Airedale has a sweet disposition, but when challenged, is not afraid to stand up for himself. Obedience training is important for these quick learners, but make sure to keep it interesting? They can get bored easily! They also thrive with daily exercise. 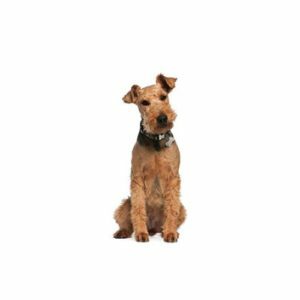 Although relatively easy to maintain, the Airedale coat needs regular brushing and stripping.